Linking up with Becky over at Olives ‘n Wine today for a Treat Yourself Tuesday post. If you are new to TYT Becky wrote a great post about why she started this series, and why she thinks it’s so important to take some time for yourself each day. I am going to make this a quick post, because I am going to treat myself to taking advantage of Shane’s nap time the very best that I can this afternoon. It’s already been a doozy of a week and we are just getting started over here! So I went and did something I haven’t done in almost a year and a half…I GOT MY HAIR DONE! I didn’t realize how ridiculously long, snaggly, split-endy and dry it had gotten. It was long overdue. 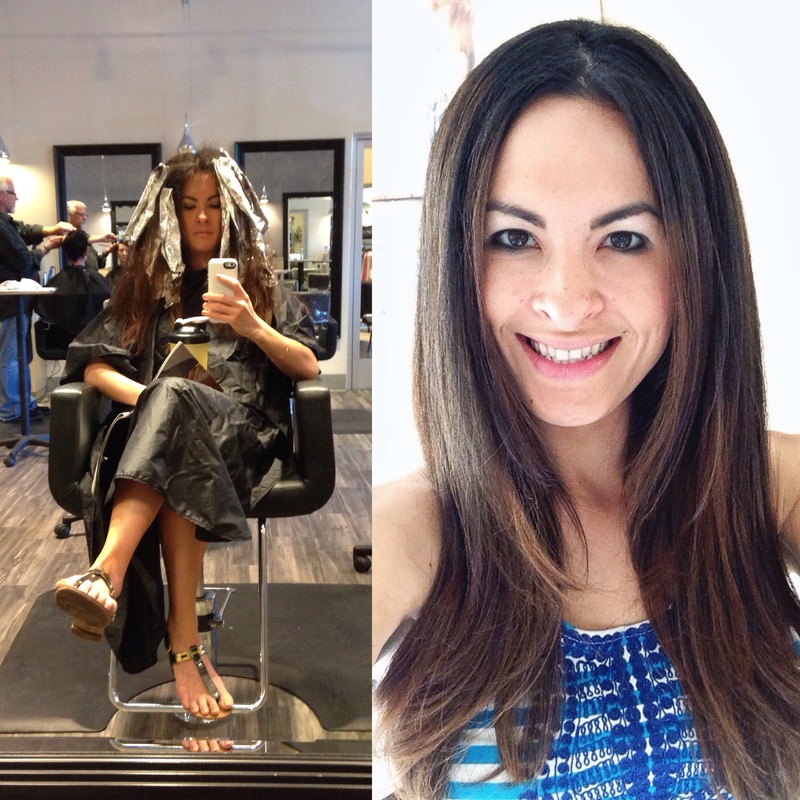 If you are local go check out Christina Albera at Kenneth Brown Salons. I actually had to go twice, once for the cut and one for the color because I had so much hair she would have needed 4 hours to do it all at once. This is actually why I never get my hair done…do you know how much more I could do with 4 hours? lol. This wasn’t even a treat at this point, it was a necessity! 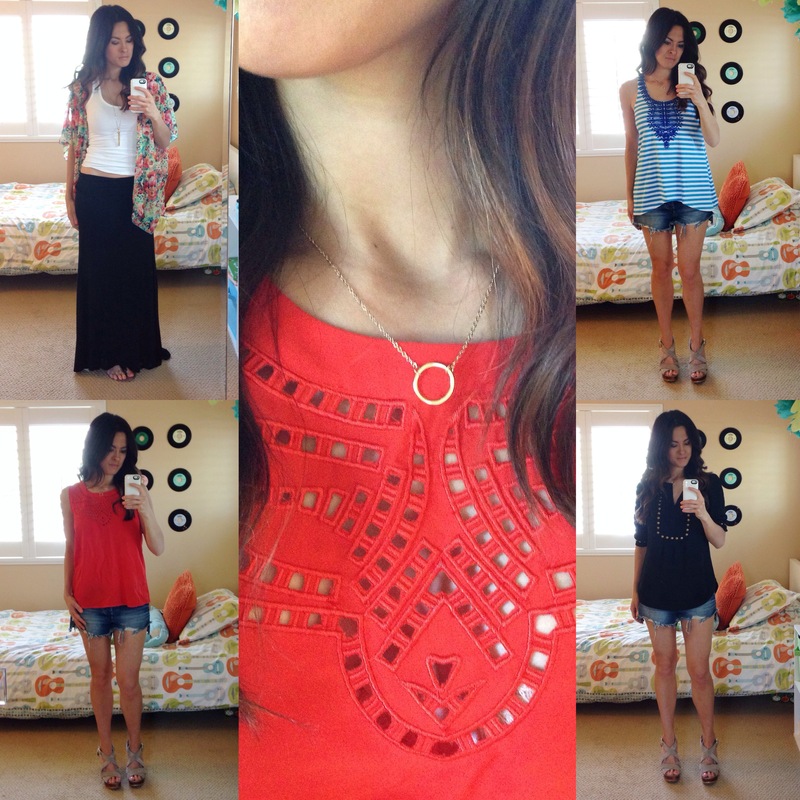 If you missed my last post that had my most recent Stitch Fix review I officially treated myself to keeping the whole thing AND scheduled my next. This is definitely my newest guilty pleasure…well actually TYT is about not feeling any guilt about making yourself happy, so this is my newest guilt-free pleasure! New hair, new clothes and no where to go? Well, I’d like to think I am more of a homebody on the weekends and spend our time relaxing with the boys…but this past weekend seemed to be the exception. We had more places to go in one weekend than we usually have in a month! Friday night after the kids went to bed, we were invited to a neighbor’s house for an at home wine tasting event. It was so much fun!! 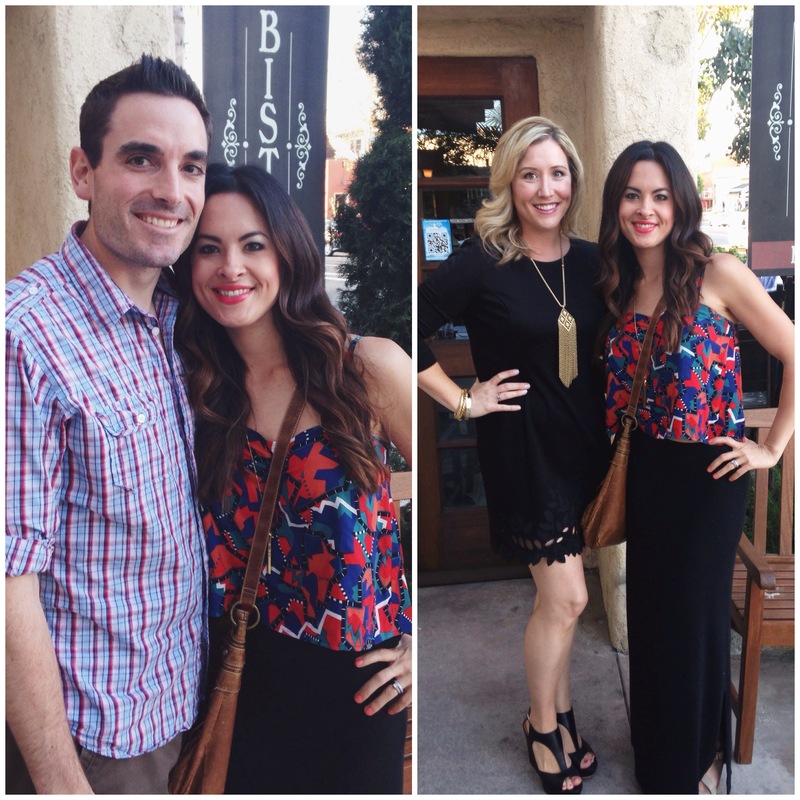 Friends, music, wine galore, and food…lots of bad for you, delicious food!! 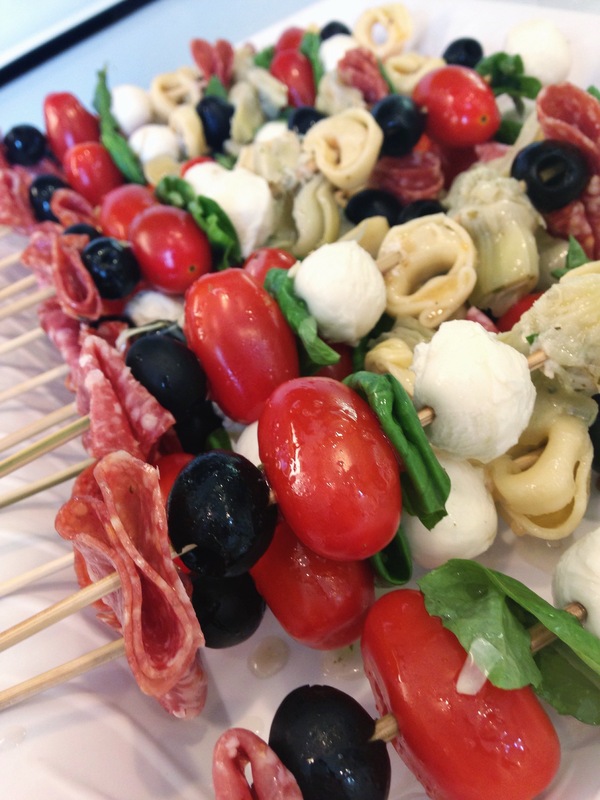 I made these antipasto kabobs and definitely treated myself to one (or five) of them. Saturday morning Greg took the boys to swim lessons and I set out to a baby shower brunch in Laguna beach. It was so nice to sip mimosas, eat good food, chat with friends and celebrate the upcoming arrival of our friend’s baby boy! After the brunch I headed home to the fam, relaxed for a bit only to head out a few hours later for a 35th birthday party and then a couples’ date night in Laguna Beach again. I haven’t had this much adult conversation in who knows how long…it was beyond a treat to get dressed up for the weekend and have some fun with Greg and our friends. I guess Greg and I should get used to a little time away from the boys because in July we are going on our first ever vacation away together since having Nathan almost 5 years ago. What are we going to even do with all that T I M E?? Granted it’s only 3 nights away, but in parent time that is a lifetime of hours! We are so excited to head to Hawaii to celebrate our friend’s wedding, and of course I have been mentally preparing myself which includes dress shopping! 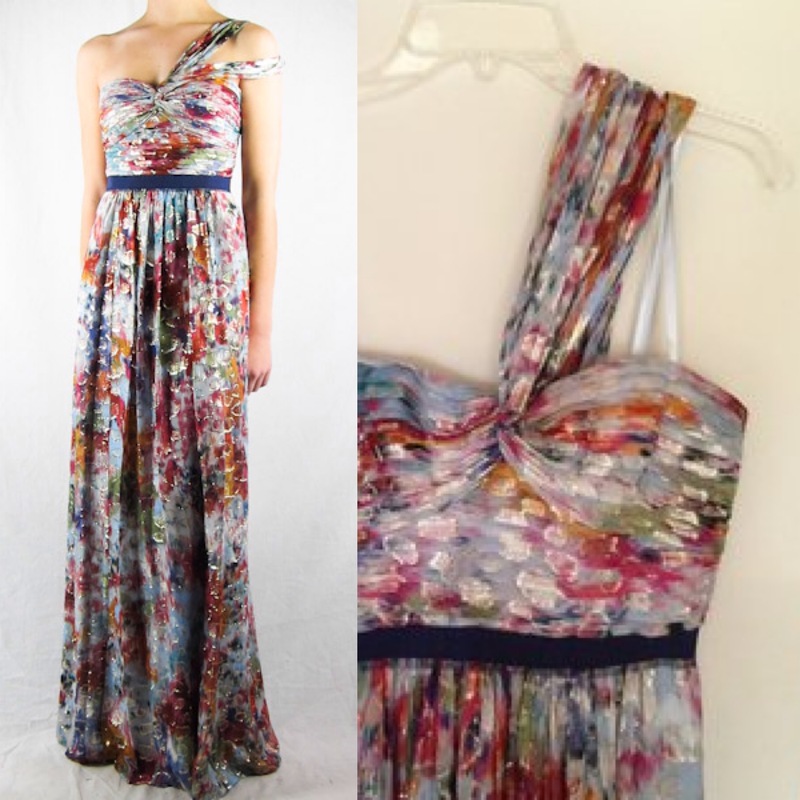 I found a few contenders but then of course fell in LOVE with a dress that was almost $600. Yeah, I don’t think so. I even went to the mall and there was the dress, front and center in the BCBG window staring at me. I took the boys into the store with me kicking and screaming, just so I could touch the dress and see it up close. And obviously, I wanted it even more. So I went home…did a Google search and low and behold I found the same one online, worn once, in a different color, IN MY SIZE, and it was $150!!!!! Guess who treated herself to that one? It should be here any day now….fingers crossed it fits!! This is so Hawaii don’t you think?? Last but not least, after all the weekend fun we had…I woke up Sunday morning and my stomach was talking to me and it was pissed! Was it the wine, cheese, pasta, meatballs, dessert, mexican food, mimosas, mojitos that did it you think?? 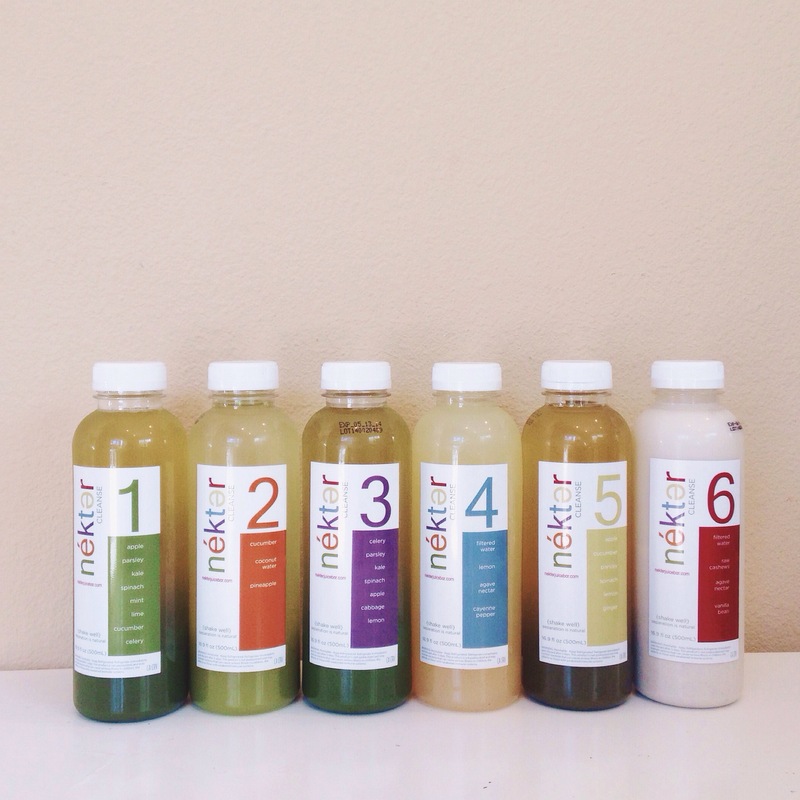 Something major needed to be done for a reset, so I headed to Nekter Juice Bar and picked up a 1 day juice cleanse. Although I may have been doing the right thing to treat my body, I actually really didn’t enjoy it as much as I thought I would. Headache, hungry, didn’t taste all that great…although I woke up feeling ok the next day, I think I’ll stick with clean eating and AdvoCare. And that friends is all she wrote! I hope you all have a fabulous week and find the time each and every day to treat yourself to something that makes you happy. No gesture is too big or too small when it comes to making yourself feel GOOD! Happy Tuesday and hope to pop in on the blog again soon! Ooooh love your dress for Hawaii. Going to be gorgeous. Can’t wait to see pictures!! Your hair looks amazing and those kabobs are going on my menu for sure, yum! Loved all the updates/news ! Wow you must be SO excited about that trip to Hawaii! I know I would be !!!! And you look SO beautiful! Your hair is amazing!!!! Oh I cannot wait to see that dress on you! Total TYT!! Juice cleanses are SUPER tough – I think I’ll just stick to Advocare and clean eating too!! 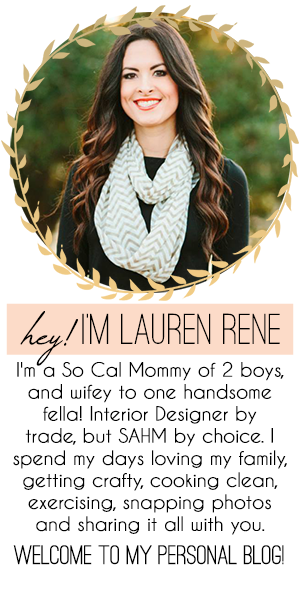 Lauren, give me your arms! You look fabulous! Anyway, juice cleanses are awesome but all are not equal. Check out the calorie content and and types of veggies and fruits included in the juice before you try it.